The San Antonio City Council on Thursday narrowly voted to exclude the fast food joint from a seven-year concessions agreement for new restaurants and businesses at the Texas airport, to be operated by concessionaire Paradies Legardere. Texas Sen. Ted Cruz, on the other hand, was less pleased with the councils’s decision. Who sold their souls to the malicious, venomous bullies and bigots of Organized LGBT mafia. These Sodomites, will not tolerate and will attack anyone and anything not accepting and promoting their degenerate, sexually perverted lifestyle. If one likes or believes in doing something ugly and others do not accept their behavior or refuse to associate with it. How are others denying your freedom? You are free to be a degenerate sexual pervert if you want, but do not expect others to accept you as anything but a degenerate sexual pervert. Bigotry is not necessarily a bad thing. One need not tolerate every belief or action of another. Now if you’re not openly participating and trumpeting the virtues of LGBTBBQ living, you’re an evil hater. 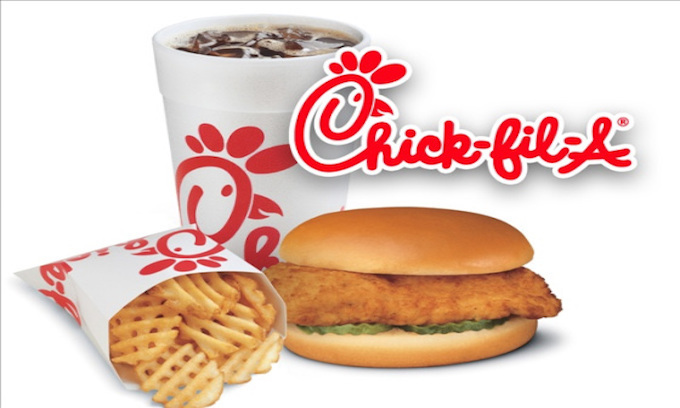 And all of us who cried “THAT IS THEIR END GOALS” were laughed at, as conspiracy theorists etc..
Well now.. Chick-fil-a has NEVER refused ANYONE service. All three of the groups that received the foundation donations was of religious basis. Their belief system is non judgmental… God makes the judgment not them… the groups followers just practice what is in the Bible. They themselves harbor no prejudice to anyone. This is just another sparkling example of anti religion and prejudice toward people of faith. Isn’t interesting how these people of no or little faith are so afraid of something they insist doesn’t exist. hey its san antones loss imho. Well, yet another city ruined by LGBTQRS insanity. Sin On-toeyo, you have joined a long list of cities, i will NEVER, ever spend another dime in.. Hope you rot. Whenever I hear “everyone is welcome” these days, I know it means “no one is welcome except people who share our leftist outlook.” In fact, in San Antonio it seems to mean that not only the company, but all the company’s employees and customers aren’t welcome. How’s that for “inclusivity,” hmm? Perfectly illogical, in libtards rotted mess they call a brain. As a San Antonian, I’m disgusted by the council’s decision. They are practicing exclusion while preaching inclusion! They need to be replaced! Chick-fil-A welcomes all everywhere. The owners have the right to their beliefs! Maybe you need to vote these council twits out then! Or better yet, have not voted them IN, in the first place. File suit against the entity for discrimination. I don’t feel very included. In fact I do believe as a citizen that I am being unconstitutionally excluded, bullied, demonized & persecuted when the govt prevents public access to & frankly engages in slanderous attacks against a private company based solely on “temp” govt officials dislike of the business owners personally held views or beliefs that in this particular case do not in any way affect the type or quality of service the company provides to any & all customers. This is example of intolerable govt tyranny that must be denounced & fought against. Maybe its time, we started refreshing the tree of liberty.. The San Antonio council are such blatant hypocrites. I read the article and the so called council states that everyone is welcome. Welcome as long as you subscribe to their beliefs. How can they not read their own statements and see the hypocrisy? Liberals are BLIND to their hypocristy. It’s way beyond hypocrisy Ituser… These jackasses are fully vested in “the ends justify the means”. They don’t care how much damage or what ramification may occur … as long as they get what they want… even if it means self detriment. Power with short sighted vision is very dangerous. Maybe we need some aliens to show, up and go ALL ID4 on us. Starting with NY, DC, SF, Seattle and LA! This needs to finally be brought to the courts, where the radicals will be exposed, humiliated and defeated. Discrimination against ones religious beliefs can not be tolerated. And exactly what do you think our contemptible dept of injustice will do? Just more Progressive BULL Crap, so sick of it! By the way it looks, i’d say Helllzz no.